They've also added two special jerseys for Date Masamune and Tokugawa Ieyasu fans to snap up, following on from last year's Yukimura/Mitsunari versions. 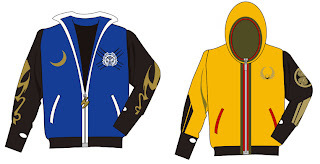 As well as being designed to include as many of the characters' signature symbols as possible, the Ieyasu version comes with a hood (of course) while Masamune's has a lightning bolt charm on the zipper. Each comes with built-in 'gauntlet-like' gloves in the sleeves and costs ¥9,975. Preorders are being accepted until the end of May 2013, and the jerseys are due to be delivered in October. 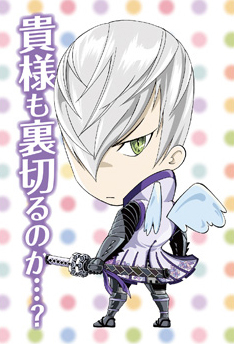 Buyers will also receive a bonus postcard of Mitsunari when preordering.